The extra insulation also enables these kilns to fire to cone 10 temperatures everyday. Efficiency saves on wear and tear on your kiln so your relays last longer, your elements last longer so you save money year after year. You can expect incredible element life and minimal electrical consumption. An excellent choice for cone 5/6 firing especially if you like slow cooling glaze effects! Fitted with corrosion resistant stainless steel jackets and heavy-duty Kanthal A-1 elements, the Cone Art Kilns are durable and built to last. Cone Art Kilns are durable and built to last. 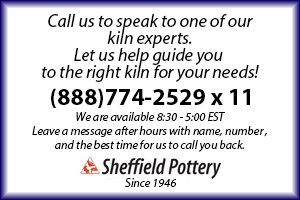 The kiln capacity ranges from 3.3 up to 16.5 cubic feet. The high temperature capabilities of our round kilns allow flexibility as firing requirements change – firing to both high and low temperatures can be achieved with one kiln. Flexibility as well as utility savings is an advantage for all ceramists including individuals in business, schools, recreational centers, retirement homes and museums with ceramics classes. Standard 3 Zone on all 27" ! Standard: Easy to see angled controller box ! Standard Double wall insulation for true cone 10 operation and super energy efficiency at any temperature! Also available with kiln sitter instead of automatic controller... call for pricing.